The Paleo Diet is getting quite popular among people with different health goals and conditions. It is even getting recommended by some doctors as a solution for certain health conditions (for example, celiac disease). It is also getting more and more popular among people who would like to reach certain health goals (including, weight loss). Now as you probably know the Paleo diet has some food limitations. What if you would want to go out? And let’s assume that your city/town does not have any restaurants with specifically designed low-carb diet menu. Or what if you were invited to the party where non-Paleo foods more likely to be served? Would you have to give up on eating out or accepting party invitations? 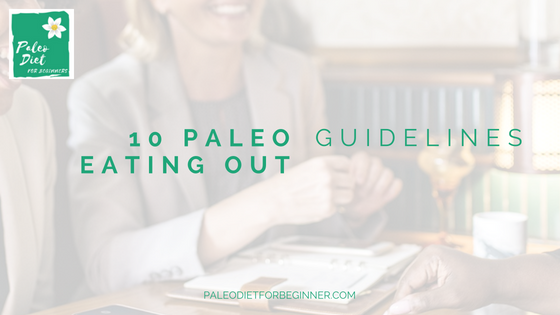 Here are some paleo eating out guidelines that will help you to make smart food decisions and still not be left hungry! The Paleo diet was originally introduced by Dr. Loren Cordain. The idea of the Paleo Diet is to eat the foods that our ancestors used to eat thousands of years ago. And by doing so, it does not mean that we need to start recreating the environment of our ancestors, which, by the way, will be impossible to do. 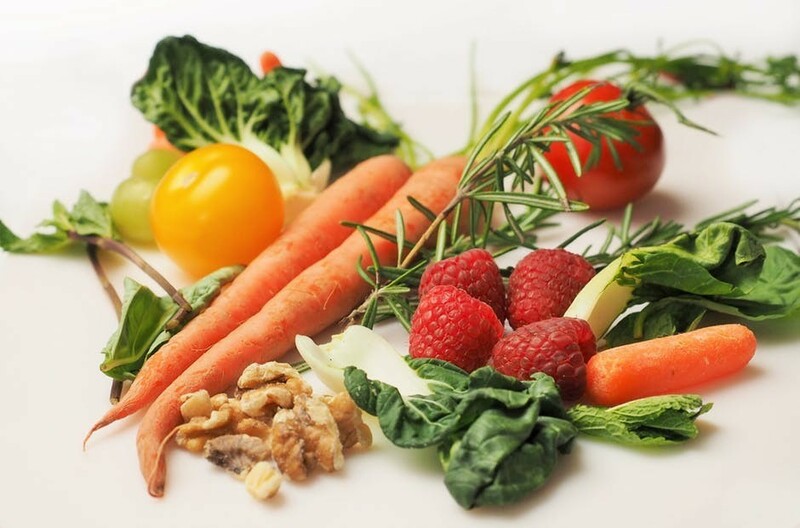 What it means is that the Paleo diet proposed to eat foods that our bodies are designed to eat whole foods – the foods in a form provided by nature. 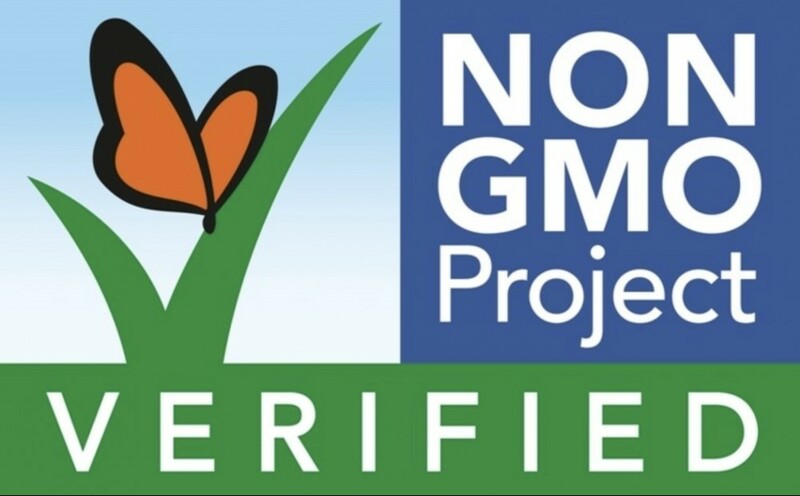 The modern food industry created foods that are not only in a processed or refined form, but some of them are even genetically modified or using ingredients that are genetically modified. Consumption of these types of foods does not add any nutritional benefits to our health. It could also cause certain health conditions and diseases. Then why should we eat it? 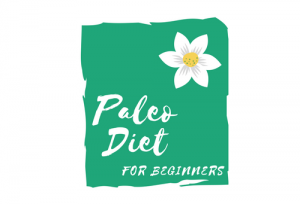 What Are the Paleo Guidelines? 2. Avoid processed and refined foods. Only foods provided by mother nature would provide us with the proper nutrition. Food that lost their natural form, for the most part, lost its nutritional value and benefits of eating it. Then why should we nourish our body with something that does not provide us with any health benefits? The Paleo Diet also encourages us to buy organic foods and the reason for that is that a lot of conventional crops are genetically modified. Are you concerned about the GMO? If you see the label on your fruit or vegetable started with the number 8 – do not buy it! To Go Or Not To Go Out? Now that we know what the Paleo diet principles are, it might look overwhelming, especially to imagine yourself going out. Because we are surrounded by the fast-food places or we used to order certain foods at the restaurants without acknowledging that it might not be the healthiest choice. However, if you go Paleo it does not mean that you have to stay at home and eat only food that you cooked. Of course, you could do it as you will be a 100% in charge of the ingredients as well as recipes. Though what about times when your friends or relatives or colleagues invite you to go out? Would you just sit and sip a glass of water or tea in there or just decline the offer? Or maybe pack your own food to go (I actually did it a couple of times)? You still would be able to enjoy the-gathering-together events and follow the Paleo diet principles. Here are 10 tips on how to go out on the Paleo Diet. A lot of restaurants nowadays post their menu online. If you have hard time locate the menu on the official website, check Yelp or MenuPages. 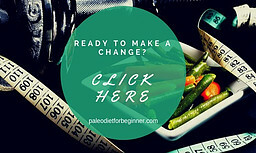 Once you have an idea of what is served, find something that is close to the Paleo Diet principles and sees what needs to be removed or substituted in order for it to be as much Paleo compliant as possible. Propose to your friends/relatives/colleagues to meet at the restaurant or even cafe instead of fast-food place. You would have more chances to order Paleo compliant food at the restaurant rather than at a fast-food place. Moreover, a lot of restaurants, including in the U.S. ones offer traditional foods like steak, fish or chicken served with the vegetables as a side dish. Believe it or not but word of mouth is a powerful thing! Also, consider that there are a lot of people nowadays who follow either gluten-free or low-carb diets. Therefore you would more likely find reviews on the restaurant left by people with these food preferences or certain medical conditions. A lot of fast-food places offer salads in its menu. The problem with the salads in the fast-food places are dressings. Have doubts regarding the dressing, ask for a slice of lemon! Salt, pepper, and lemon that is all you need to make your own salad dressing! There is nothing wrong with you having certain food preferences. 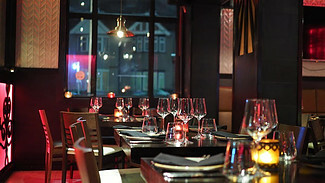 If you do not have time to search information about the restaurant you are going, it is all good! Most of the restaurants will accommodate certain food requests. In the bad scenario, you could always order a salad and eat a full meal at home. Scan the menu and decide first whether you want to eat meat, chicken or seafood. A lot of restaurants offer you to order side dish where steam vegetables are one of the choices. Some offer sweet potatoes and salad on the side. A lot of restaurants serve seafood with the steam vegetables or salad on the side. If you are not hungry, order a salad. Just be aware of what is included in the salad dressing. If the staff is not aware of the ingredients, ask for olive oil, salt, and pepper or a slice of lemon as a dressing. It is totally fine to ask questions regarding the meal you are looking to order. Do not be afraid that your friends will look at you as a picky eater. If you are shy, just let them know that you have certain food allergies and would like to make sure to order something that you can actually eat. Do not be afraid to ask for certain ingredients to be removed or switched. For example, if you are looking to order chicken drums and the one offered are breaded, ask if there is an option to have regular ones. And once again, if you do not know what to order, order a bowl of salad! That is definitely will not surprise anybody. With our population getting more and more vulnerable to different autoimmune diseases, it is not a surprise to find people with celiac disease or gluten sensitive. A lot of restaurants have even special cutting boards and knives to make sure that gluten-containing foods by any mean even touch the non-gluten foods. If you would like to make sure that what you are ordering is gluten-free, just let the staff know that you are gluten sensitive and they will double check for you that what you ordered is gluten-free. You could also let your waiter/waitress know that you are on a prescribed diet and cannot have certain foods like gluten, grains, sugar, legumes, and dairy. 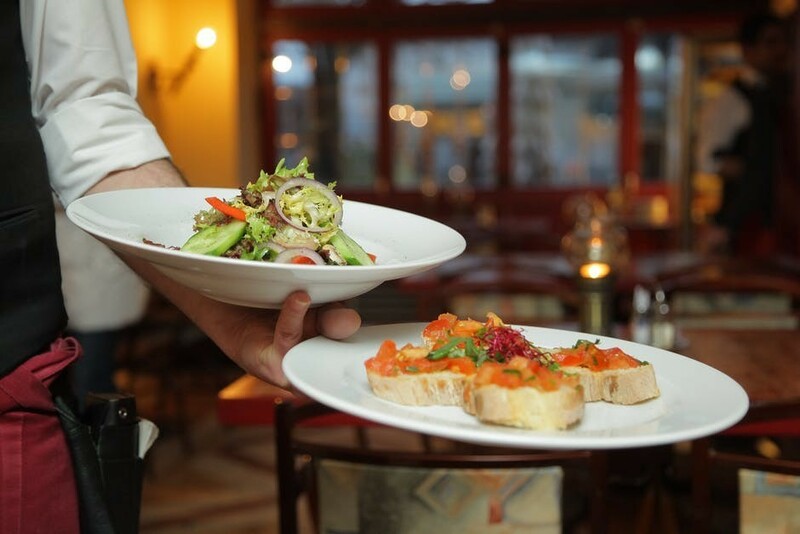 If you have a skilled waiter/waitress they will tell you immediately know what you would be able to order or how they would be able to modify it to meet your criteria. Though as mentioned that scenario is only good when you have a skilled waiter/waitress. As you probably know sugar is not as bad as high fructose corn syrup that is added to almost all processed foods. Depending on the quality of the restaurant, some restaurants do not cook from scratch and use frozen (and sometimes processed foods). Be careful with dressings and dipping sauces, especially in the fast-food places. That is where you would find sugar and high fructose corn syrup the most. If your waiter/waitress do not know the ingredients of certain foods, do not order and order a salad without a dressing or with a slice of lemon. 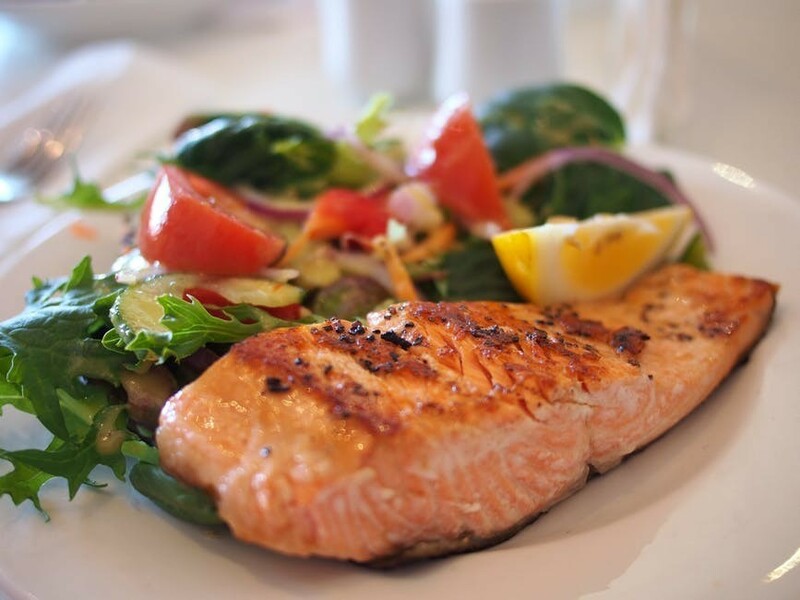 If you do not go to the restaurants very often, do not stress yourself out with what foods are Paleo-compliant. Most of the restaurants serve fish with steamed vegetables or salad on the side. A lot of restaurants offer different side dish options for their main courses, including steamed vegetables, sweet potato fries, and salads. If you do not like a certain ingredient in the meal you would like to order, do not be afraid to exclude it or substitute with another ingredient. Yes, it might happen that certain meal ingredients might not be Paleo compliant (like the oil the food is cooked on or certain sauces) but should you stress yourself out about that? And remember it is all about the balance and making smart food choices! The Paleo Diet Basics paleo at the restaurant, paleo eating out, paleo eating out guidelines, what to order paleo. permalink. I love your tips for eating out. I follow a low carb diet with is very similar to the paleo diet and I have found that most waiters and waitresses totally understand how many of us want to avoid processed foods. Many restaurants also have a low carb menu. Sometimes you have to be very specific what you want. I order my dressing on the side and I also tell them I just want my meat and veggies plain with no sauces. I also found that a lot of servers would understand the request as more and more people to choose healthier lifestyles. More and more people watch for what they eat. For the most part in pretty much any restaurant I was able to find something to order or make certain adjustments! And I have never had a weird look for any of my special requests. It is a great strategy to order a dressing on the side. I just ask for olive oil dressing or just a slice of lemon, especially if it is a new restaurant and I am not sure what ingredients they use in their dressings. I can’t agree more about how important preparation work is, if you know you are eating out with friends, and they are agreeable to let you choose the restaurant. The stress is usually much less when you are in control and you can scrutinise the menu, reviews of the restaurant, etc. beforehand. Rather than an impromptu decision to just walk the streets and spot some fancy restaurant and decide to try it out. I didn’t realise that people on a paleo diet can actually have choices at a fast-food joint too – the salad! That’s such a big lightbulb flicked on for me! And yes, the salad dressing… we have to always be wary of that. For the most I try to do my research on the restaurant beforehand, just to be ready on what I could potentially order in there. Now there are certain situations, like a trip, where you would not be able to make a proper research. In that case, I spot the meal that will have the least Paleo non-compliant ingredients and ask to leave those ingredients aside. And yes, you will never go wrong with the salad! Just would need to watch for ingredients of the dressing itself. I’ve been so nervous about trying paleo especially because once I go eat out I just want everything on the menu lol. Thanks for the great tips! Any diet has certain restrictions that make you harder to go out. Now as I have mentioned before, nowadays a lot of people chose healthy lifestyle due to their believes or health conditions. And now it is not something new to the restaurants to make adjustments to the meals served. So you still would be able to be on the Paleo diet and enjoy eating out!